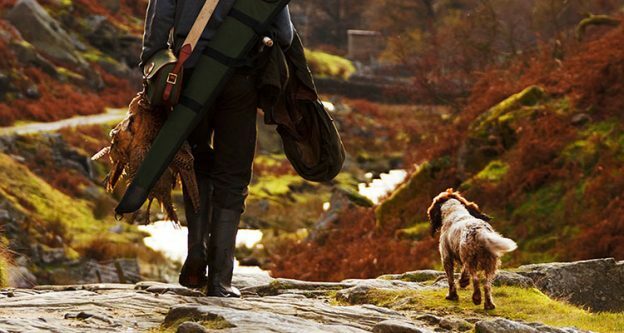 Crossbow Vs Bow: What Is the Best? If you are interested in getting into bow hunting, then at some point you are going have to make the decision between whether you want a crossbow or a compound bow. Either type of bow is going to take down a deer at 50 yards, but they each have their own pros and cons and that is what will help you to make the decision regarding which bow is best for you. Let’s take a closer look at the crossbow vs bow debate in order to determine which is the best option. 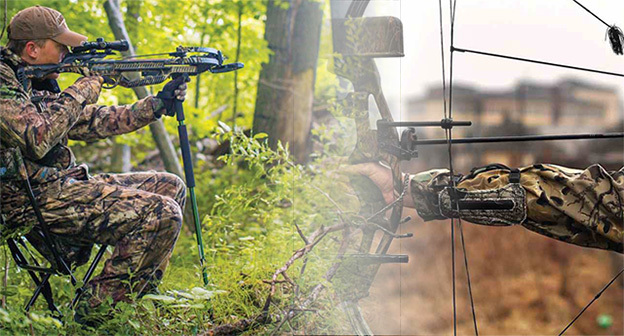 What are the Differences Between a Crossbow and a Compound Bow? When it comes to comparing a compound bow vs a crossbow there are pretty much four key areas in which the differences can be pitted against each other. These are handling, draw weight, weight, and precision. When is comes to handling, crossbows will usually come out on top of a crossbow vs bow comparison. This is because once loaded, your crossbow is going to handle very much like a rifle. It will have little to no recoil when you fire it, but most crossbow hunters still put the stock of their crossbow to their shoulder to steady their aim. Pay attention if you built your crossbow yourself. In short, shooting a crossbow is very similar to shooting a rifle, so if you can shoot a rifle you will be able to pick up using a crossbow fairly easily. On the other hand, shooting a crossbow is a little more difficult. There is a much steeper learning curve with a compound bow since you need to learn about the correct stance, grip, anchoring, load transfer and aim. In short, handling is more complex with a compound bow! One factor in the crossbow vs compound bow debate which really has no clear winner is the comparison between the draw weights. In the majority of cases, a crossbow is going to have a draw weight that is approximately double that of a compound bow. This can be considered both an advantage or a disadvantage depending on how you approach it! It is pretty difficult to draw a 200lb crossbow with your bare hands which is why most people use a cocking rope or crank to make it easier. However, the hefty draw weight also offers much more power, so for hunters the additional difficulty of drawing a crossbow is made worth it by the power. A lesser draw weight does not mean that compound bows are not as good for hunting since other factors such as speed and power come into play as well. The plus point for the compound bow is that not only is the draw weight usually more manageable, but they also use a pulley system to make drawing them much easier. 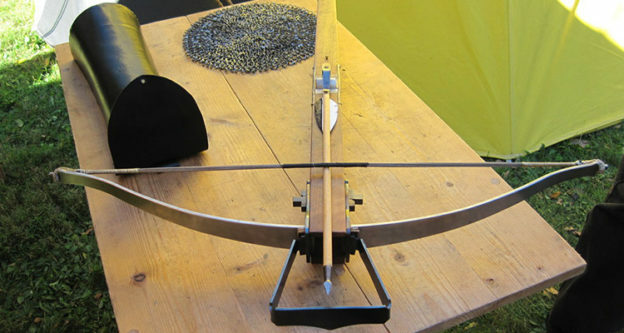 It is difficult to judge the weight of crossbows and compound bows against one another since both types of weapons are available in both light weight and heavy weight models. However, in general terms, a crossbow is usually going to weigh more than a compound bow which can cause difficulties for those with a smaller frame. Carrying a crossbow around all day can be tiresome when you consider they have an average weight of around 6 to 8 lbs in comparison to compound bows which are seldom heavier than 4lbs. The final aspect of the debate that we want to highlight is one of the most important – precision. The level of precision that you can get from your bow, whether you are using crossbow or a compound bow is something that goes hand in hand with the handling of the bow and the skill of the shooter. As stated previously, a crossbow shares many similarities with a rifle and thanks to the minimal amount of recoil it offers great accuracy when hunting. However, a compound bow can also be a highly accurate weapon. However, it does take much more practice and skill in order to take full advantage of that. As you can see, the compound bow vs crossbow debate is not a simple one to settle. There are some very distinct advantages in favour of both types of weapon, just as both types also have their own disadvantages as well. Deciding whether or not a crossbow is better than a compound bow or vice versa can come down to your personal preference based on some of the factors that we have mentioned here. However, if we were pushed to give an answer then we would perhaps suggest that for a beginner, a crossbow might be the better option.